Understanding the background of the people in a region helps us to better connect with the residents we meet during our trips. To get this information, we find that a visit to the local history museum is a great start. 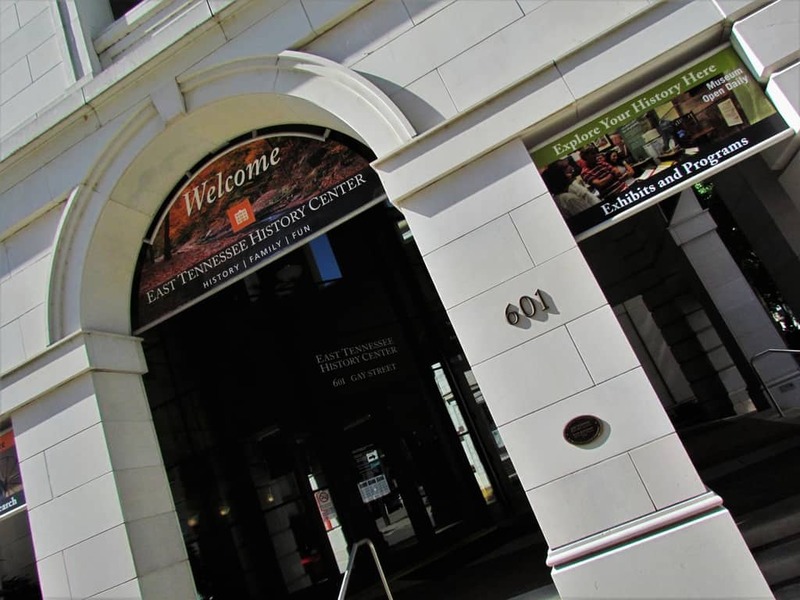 The East Tennessee History Center is located in downtown Knoxville. Inside, we found plenty of information to help us see the progression of the area from wilderness to its current state. What makes up East Tennessee? 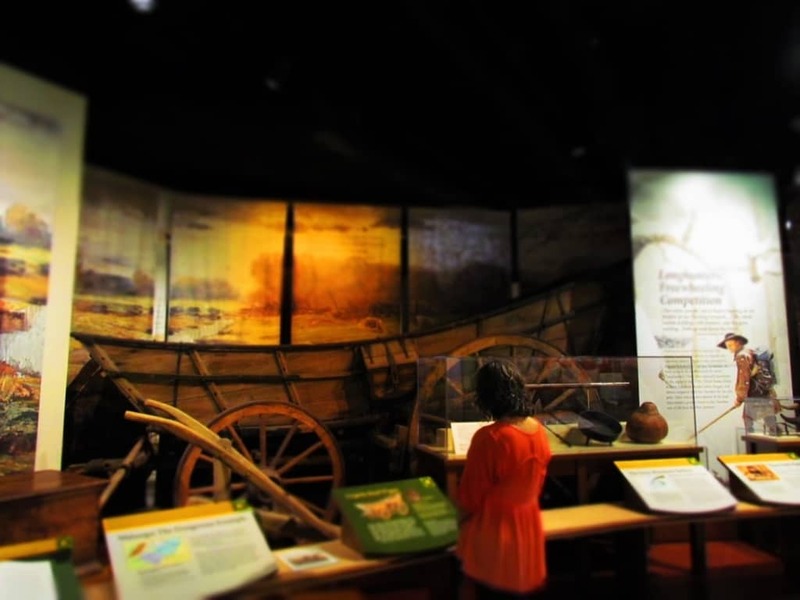 Unlike a city museum, the East Tennessee History Center is brimming with artifacts from all around the region. Generally considered to be about a third of the state, the area contains 33 counties. It is considered part of the Appalachia Zone, which includes the Great Smoky Mountains. We knew that Native Indians once populated the land, and here we would learn more about them. During the TVA project, much was learned about these original occupants. (We’ll discuss this later in the article.) The earliest explorers from Spain searched the lands looking for treasures. Their cruelties to the indigenous people formed feelings of caution and resentment among the Native Indians. Various tribes had cultivated these lands for many centuries, but it was the Cherokee that dominated the landscape when the first European explorers arrived. They had established a series of towns throughout the region. During the French and Indian War, also known as the Seven Years War, the British erected Fort Loudoun as a defensive outpost. The battle between France and England, would determine who would have a hold over the rich interior lands of East Tennessee and beyond. 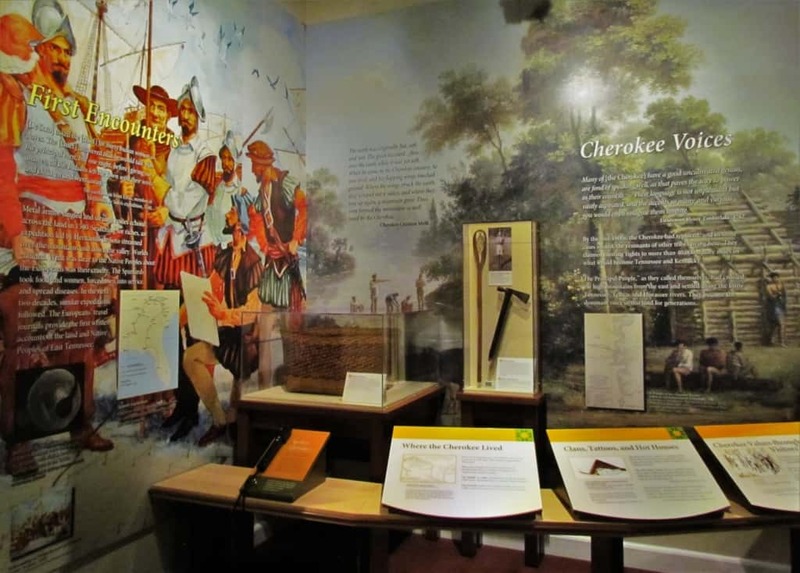 An alliance with the Cherokee helped insure a victory for England and the American colonies. During our visit to the East Tennessee History Museum, we had the honor to see Davy Crockett’s first rifle. The term “longhunters” was not familiar to us, but was fairly self-explanatory. People like Crockett would head out for extensive periods into the wilderness. Long journeys and extreme hardships were rewarded with large amounts of pelts that were traded with the Native Indians for supplies. It was their colorful stories that enticed the settlers to seek out residence in East Tennessee. East Tennessee’s unique topography was more conducive to small farms than larger plantations. For this reason, slavery had not been as prevalent in this region. When the proposal of succession was brought forth, East Tennessee’s stance differed from the rest of the state. A referendum was brought forth for succession, and more than 80% of East Tennessee voters were against it. As succession appeared apparent, the Unionist East Tennessee Convention drafted a petition to split from the rest of the state. This was denied, and the governor ordered confederate troops to East Tennessee to insure compliance. Not until late 1863, would Union troops secure Knoxville and Chattanooga from Confederate hold. The Chattanooga Campaign would be some of the bloodiest battles of the war. After the war, East Tennessee residents nursed the ill effects of distrust of the state for many generations. The music of the Appalachian region is descended from a wide variety of influences. English and Scottish ballads , as well as Irish and Scottish fiddle tunes had a particular heavy affect on the tunes. These can still be heard on the banjo, dulcimer, guitar, and fiddle. Blending in African-American blues, as well as gospel, added another layer to the tunes of East Tennessee. Many of the ballads were written to reflect a moment in time. The east Tennessee History Museum has a nice collection of information about the music of the region. There is even a video loop that plays shorts from various artists that were familiar to us. Such a great experience. After the Civil War, northern capitalists saw potential in East Tennessee. Heavy investments were made in manufacturing, and soon a boom occurred. Did you know that the first Coca-Cola bottling plant was built in 1899 in Chattanooga? Neither did we. Logging was a growing industry, as the vast forests of the nearby mountain ranges were harvested. The discovery of coal and copper led to a series of mining operations. One of the largest changes to take place in East Tennessee was the creation of the Tennessee Valley Authority (TVA). This federally created project encompassed flood control, waterway navigation, fertilizer production, and electric generation. Extensive farming had depleted the soil and the best hardwoods had been removed from the forests. In an effort to boost the local economy, the TVA was signed into existence by President Roosevelt. More than 15,000 families were displaced, which created harmful sentiment amongst many residents. Ultimately, the project produced electricity at some of the lowest rates in the nation. The term “hillbilly” originated sometime before the Civil War, but it’s unclear of the exact start. Broken into two parts, “hill” refers to hill-folk, while “billy” is a Scottish term for comrade. It was often used as a derogatory name for people who lived a simpler life in the Appalachian regions. While many will think of East Tennessee, the term is also used to describe residents of the Ozarks in Northeast Arkansas. In these areas, the people maintained their simpler lifestyles, even as the rest of the country moved forward. The negative connotation of the nickname has been perpetuated in movies and television. Ma and Pa Kettle, as well as The Beverly Hillbillies, are examples of this. Even The Andy Griffith Show portrayed a life that was less technologically advanced. The positive that came from these portrayals is that it showed the people as being deeply founded in their beliefs of good versus evil. The rules they adhered to were governed by the principle of being fair to your fellow man and minding your own business. The mountain region of East Tennessee was popular for offering privacy from an intruding government. Moonshine is an alcoholic beverage created with stills. What began out of necessity, soon became a way of life for many in the mountainous region. 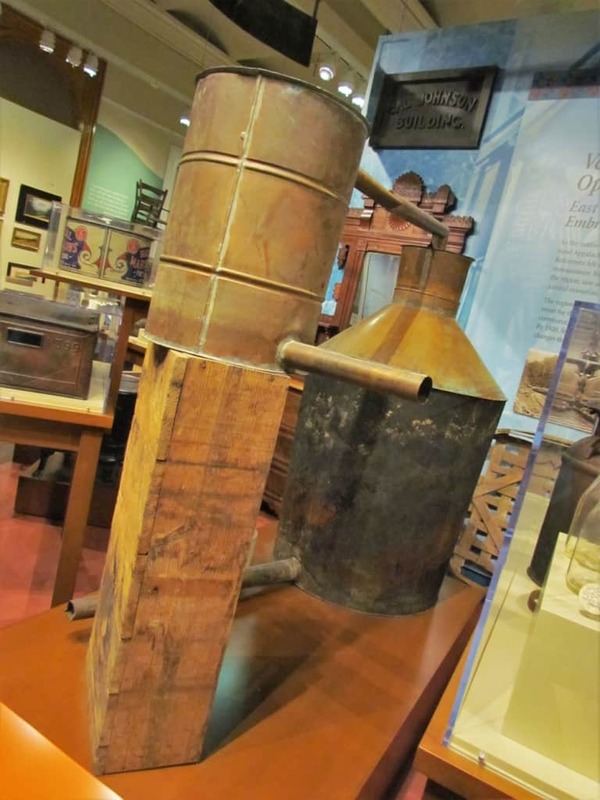 Moonshine refers to a strong alcoholic drink, and in Appalachia many people set up stills to produce “shine” for their own use, as well as to sell. When prohibition was enacted, the process became legendary. Seen as a way to circumvent federal authority, moonshiners faced constant peril from explosions and raids. Working with bootleggers, who were the distribution channels for moonshiners wares, they supplied much of east Tennessee and beyond with liquor. These days, visitors can stop in moonshine businesses, much like a local winery, to sample and purchase a modern version of this ages-old product. The ridges and valleys of East Tennessee are appealing for a variety of reasons. Picturesque landscapes draw visitors and sightseers. Quiet seclusion offers potential residents privacy, and one area drew the attention of the US Government. During the World War II years, the government was needing to find a place to work in secret. East Tennessee had many sections that had minimal occupancy. In 1942, Oak Ridge was developed to support work being done to develop the atomic bomb. Under the code name of “Manhattan Project”, Canada, Britain, and the US worked in cooperation in this undisclosed site. After the war, the city was turned over to civilian use, and many of the government facilities were destroyed. 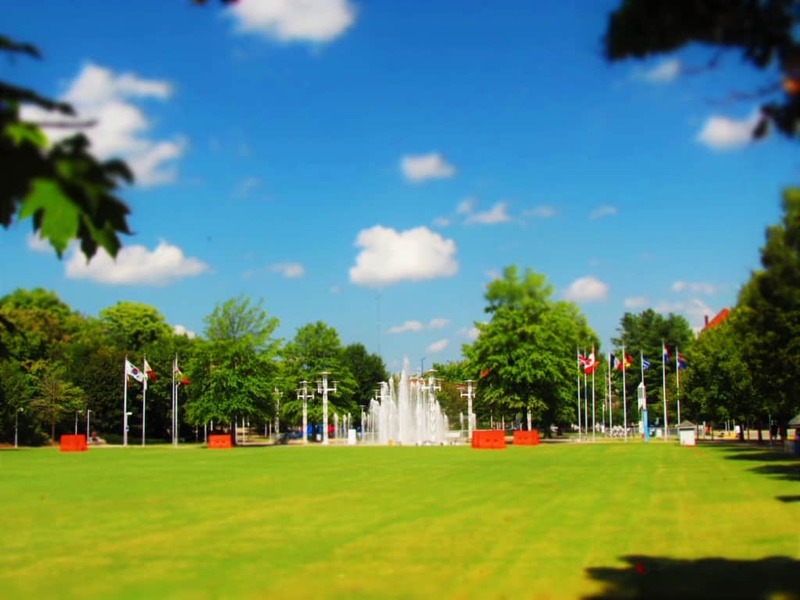 These days, Oak ridge embraces its “Atomic” past and offers tours of the facilities. With a new perspective on East Tennessee, we were now prepared to have a better experience as we explored the region. Our visit to the East Tennessee History Museum helped us recognize names we would see on buildings and street signs, as we traversed the Knoxville and beyond. The museum is filled with so many fascinating stories, that it would be easy to spend at least half a day inside. You will certainly want to reserve at least two hours minimum just to see all of the exhibits. Do any of you have ties to the Appalachian region of East Tennessee? Share this article with a history buff! 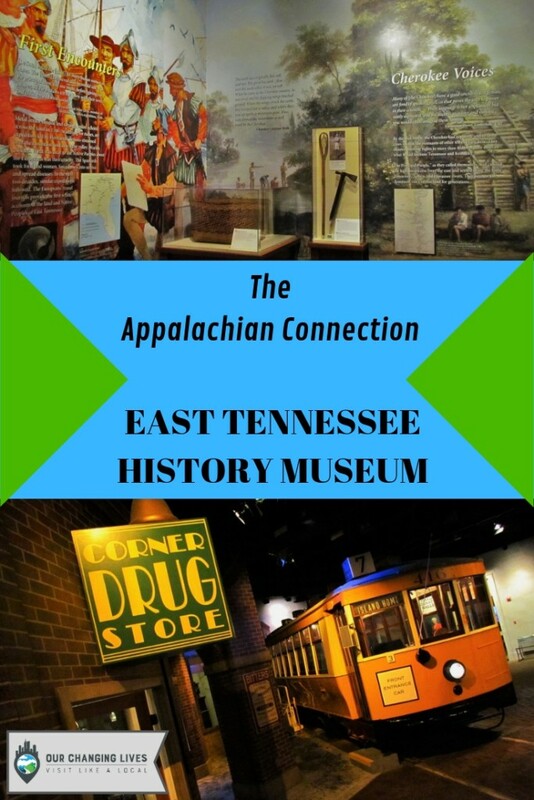 The East Tennessee Museum looks like a fascinating attraction to visit. Thx so much for the overview! We are glad you enjoyed the article. No, I didn’t know that the first Coca-Cola bottling plant was in Chattanooga. I also didn’t know severl other things you’ve educated us about in this post. My brother-in-law is of Cherokee descent from Eastern Tennessee. I’ll be sure to pass your post along to him. Thanks for passing it along. One of our favorite parts of traveling is the continued education.